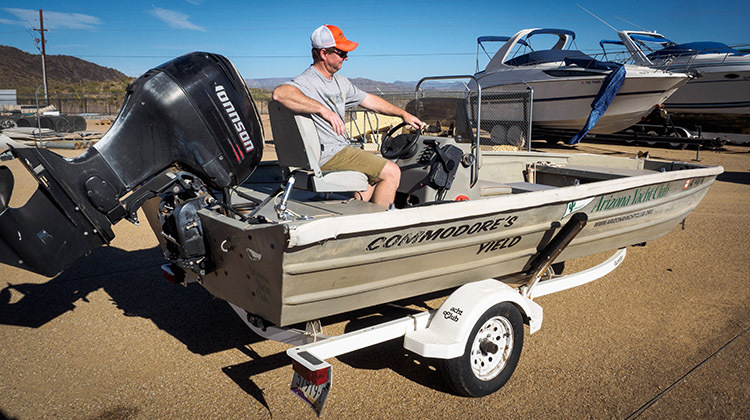 Like to Buy the Commodore’s Yield Boat? Now that we have a new and reliable motor on the back of the club’s Boston Whaler, the board has decided it’s time to sell the old safety boat, the Commodore’s Yield, and they’d like to offer it first to club members. 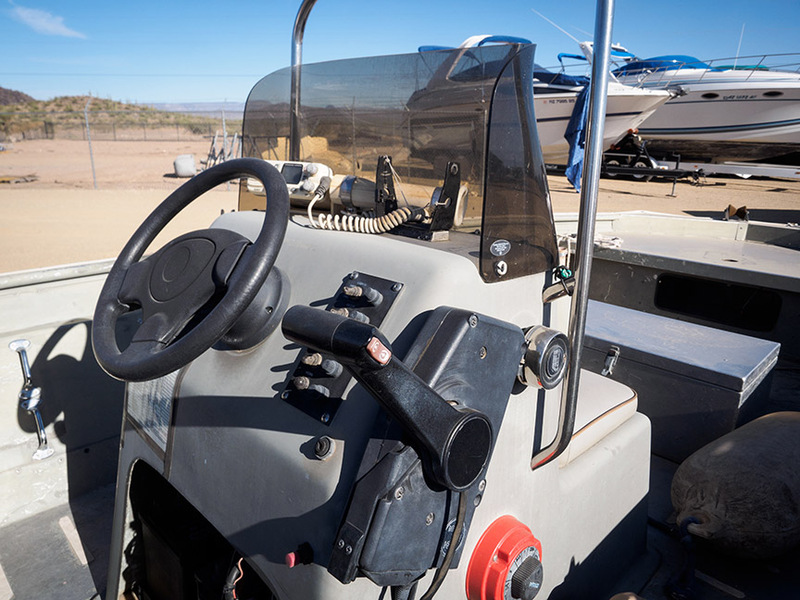 The lean description is that it’s a 2001 18-foot Alumacraft with a 90 horsepower Johnson outboard and a Yacht Club brand trailer. The boat is in serviceable but not pretty condition and will be priced accordingly. It’s currently being stored at Lake Pleasant. Contact Fleet Captain George Sheller if you’re interested. Here’s a link to the current version of the boat. Lake Captain David Newland aboard the Commodore’s Yield.